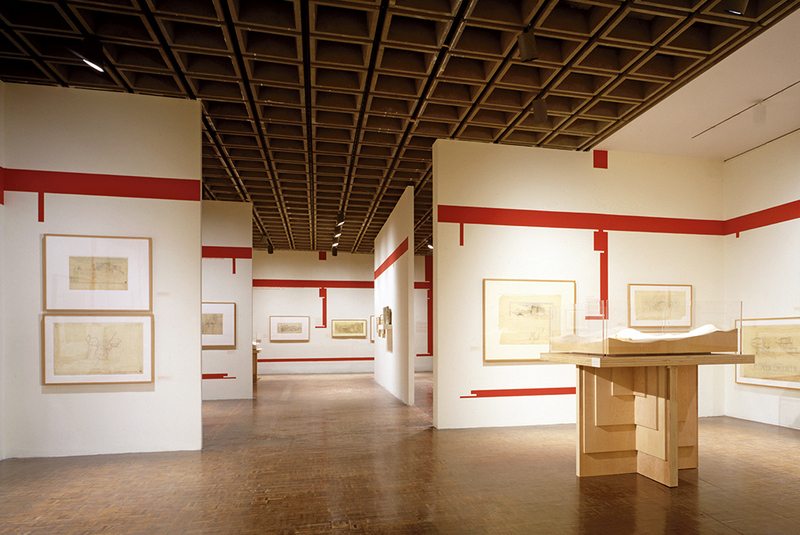 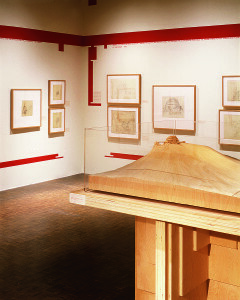 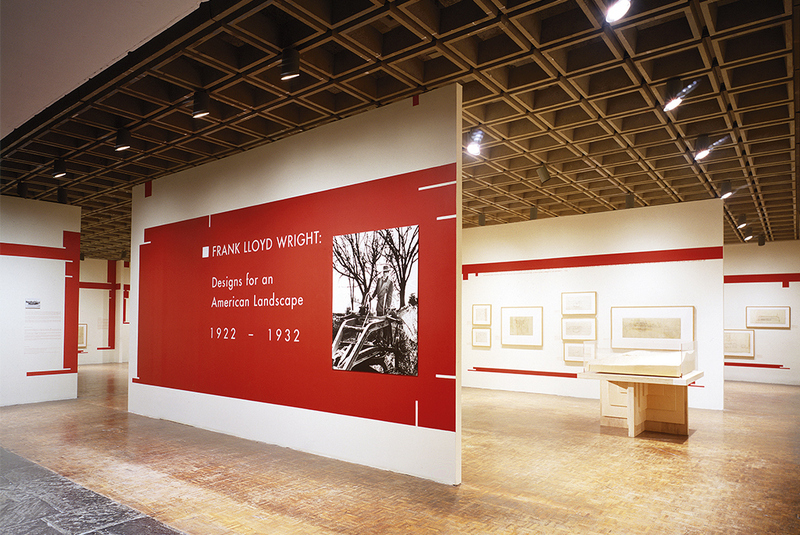 George Ranalli Architect constructed five hypothetical models of Frank Lloyd Wright’s unrealized masterworks for the exhibition, and installation design to “Frank Lloyd Wright: Designs for an American Landscape, 1922–1932,” sponsored by the Canadian Center for Architecture, Montreal, Canada, June 18 1996 – September 22, 1996, and shown at the Library of Congress, Washington, D.C., November 14, 1996 – February 16, 1997; and the Whitney Museum of American Art, New York, N.Y., June 25 – September 14, 1997. 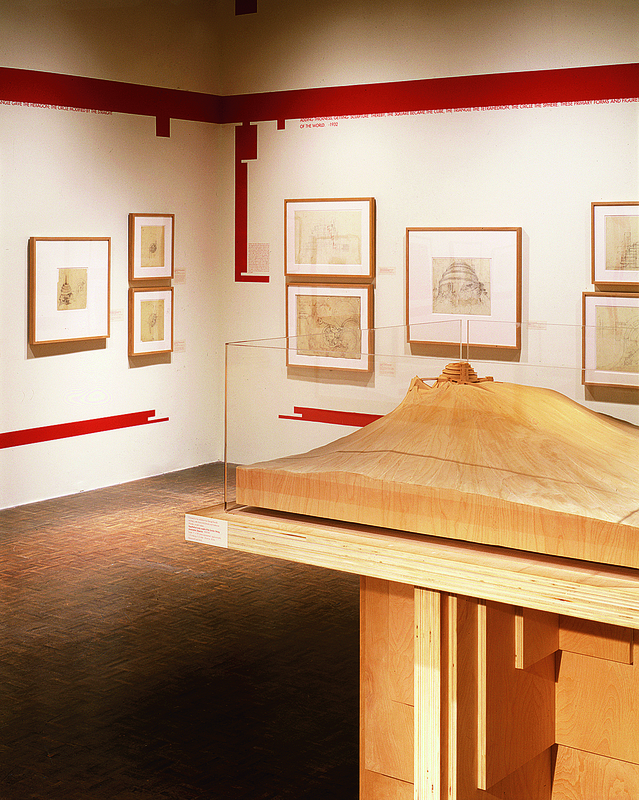 The five models expressing Wright’s ideas which exist only as drawings of unbuilt projects include Doheny Ranch Development, planned in 1923 for the Santa Monica Mountains ; insurance tycoon A. M. Johnson’s desert oasis at the perimeter of Death Valley; a vacation colony for Lake Tahoe, Emerald Bay, California, 1923, featuring offshore lodge, designed for construction in the lake, on piles, creating ”water courts” within the building’s long, low-slung wings; the 1928 design of a hotel complex, outside Phoenix, San Marcos in the Desert, near Chandler, Arizona, 1928-1929 ; and the Gordon Strong Automobile Objective, designed in 1925, for the top of Sugarloaf Mountain, Maryland. 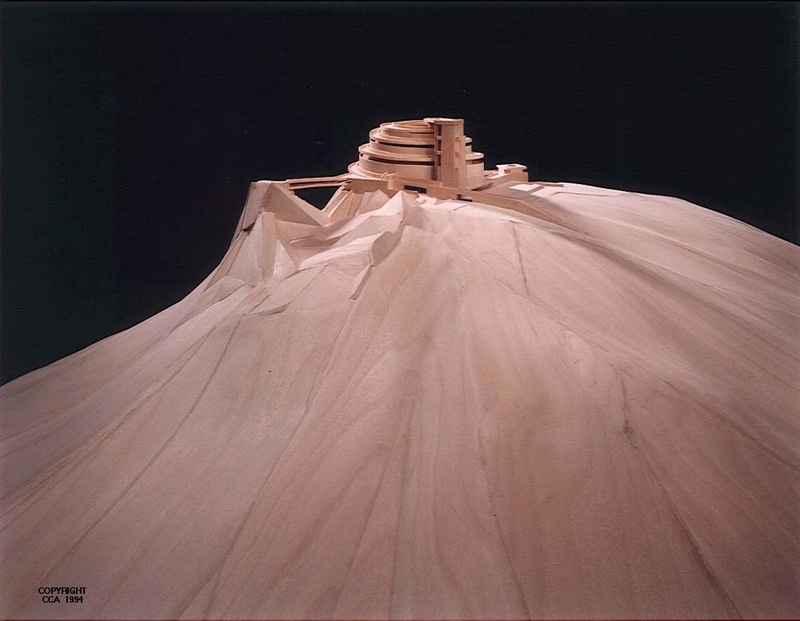 George Ranalli Architect interpreted Frank Lloyd Wright’s five proposals, in the form of three-dimensional models, each articulating Wright’s extraordinary vision of humanistic and sustainable modern architecture, carrying forward the traditions of American craftsmanship, in harmony with the landscape. 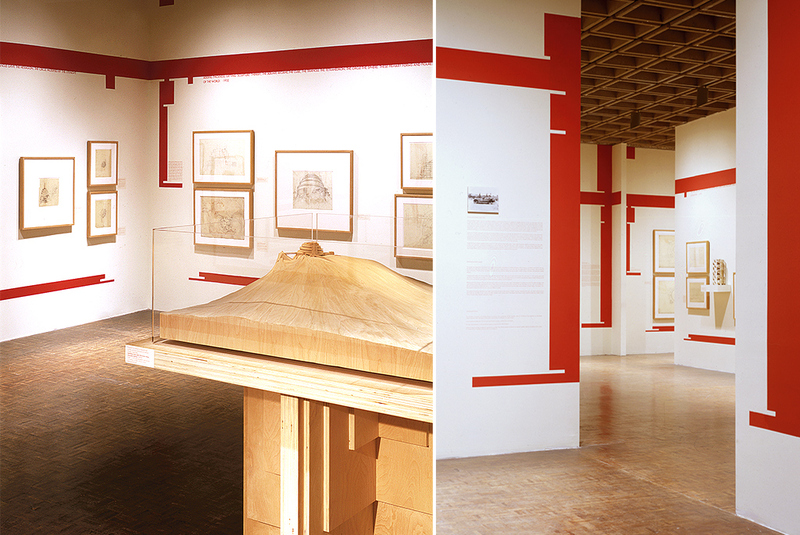 George Ranalli Architect also contributed installation elements to the exhibition at the Whitney Museum. 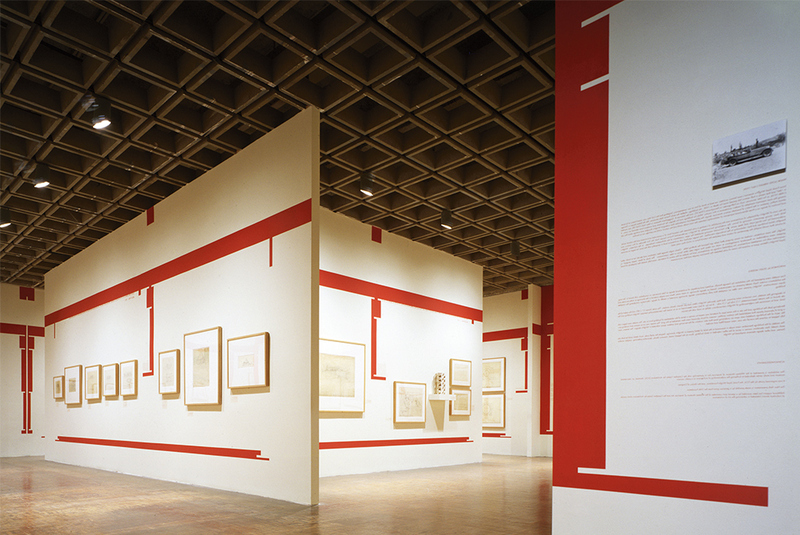 The installation design wrapped each room in the gallery in wide bands of color, stenciled with quotes from Wright about each of Wright’s five projects shown. 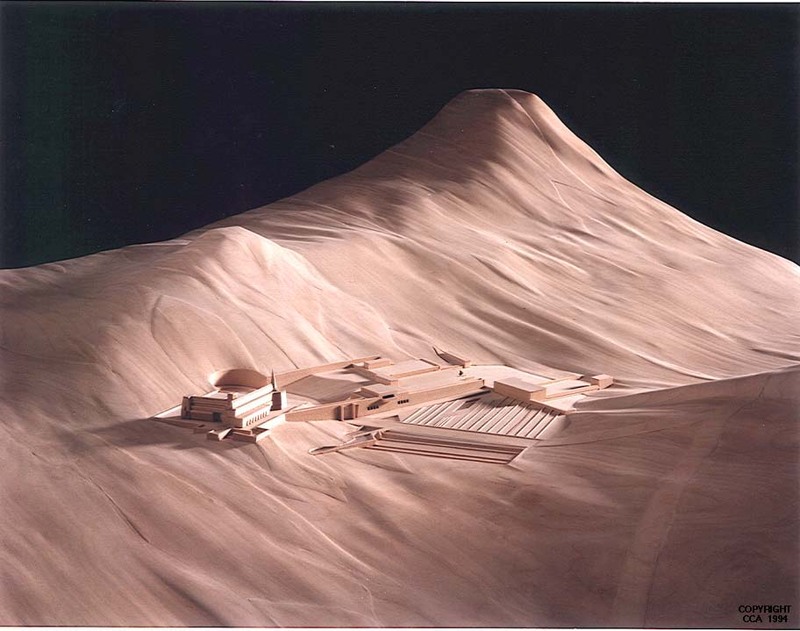 Hypothetical study model of the Gordon Strong Automobile Objective, Sugarloaf Mountain, Maryland, 1924-1925. 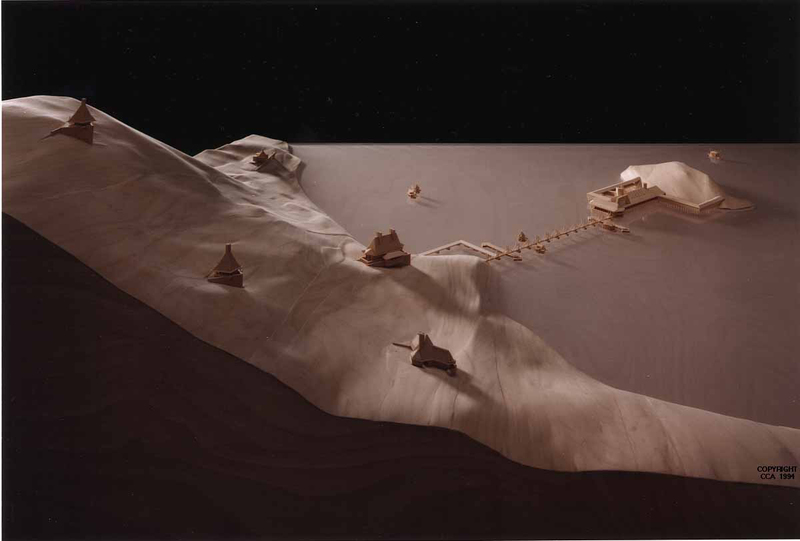 Hypothetical Study Model of Lake Tahoe Summer Colony, Emerald Bay, California, 1923. 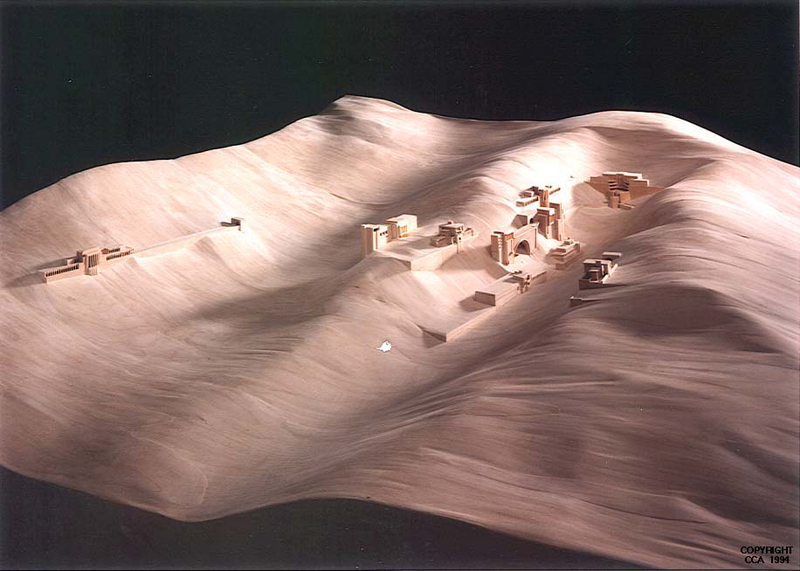 Hypothetical Study Model of A. M. Johnson Desert Compound, Grapevine Canyon, California, 1924. 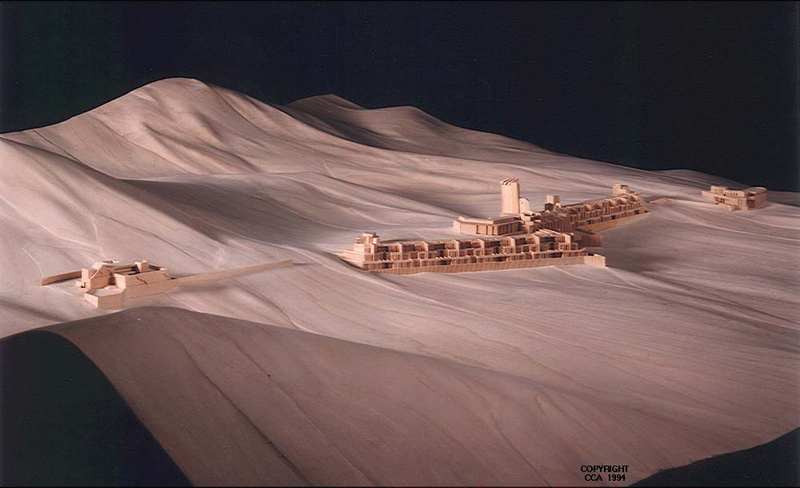 Hypothetical Study Model of San Marcos In The Desert, Near Chandler, Arizona, 1928-1929.